February 10, 2015 — Downtown Alameda Business Assn. No matter what he or she may tell you, Valentine’s Day is a big deal and he/she wants you to make a big fuss! The wine shops in Downtown Alameda have made it easier for you by stocking up on a number of luscious (and affordable) red wines that are great for a romantic evening with your sweetie…. May 7, 2014 — Downtown Alameda Business Assn. Mother’s Day, Artful Celebrations, and the Park Street Spring Festival — it’s all happening in Alameda this weekend. Mother’s Day is a time to celebrate life and art is a celebration of life. Why not start your Mother’s Day weekend this Friday by accompanying Mom on visits to some of the art galleries that are part of the 2nd Friday Art Walk. Start your Art Walk at any of the participating art venues featuring performance art, live music, DJ’s, and film screenings; alongside a rotating schedule of amazing visual art. Grab a delicious snack to eat or drink along the way as you stroll from venue to venue (many offer complimentary wine and crackers). End the evening by treating Mom to dinner or a cocktail at one of the many tea/coffee houses, lounges, and restaurants in the Park Street area. October 10, 2013 — Downtown Alameda Business Assn. Gary Francis Fine Art Gallery (1419 Park Street) is celebrating its Grand Opening with an artist reception from 6:00 to 9:00pm. The inaugural exhibit titled “Transported” coincides nicely with this weekend’s Park Street Classic Car Car Show. 15 artists will be in attendance to discuss their works that celebrates our love of cars, trains, motorcycles, bikes, and other modes of transport. Dandelion Gifts & Flowers (1419 Park Street), the new shop owned and operated by Karim, is celebrating its Grand Opening with light refreshments from 6:00pm-8:00pm. Karim’s arrangements are delightful and the flowers are locally sourced. Redux Studios & Gallery (2315 Lincoln Ave) is celebrating its 2-year Anniversary by hosting an artist reception for renowned Oakland folk artist Leon Kennedy from 6:00pm to 9:00pm. There will be lots of special guests like Rock Wall Wine Company, Linden Street Brewery, and Nothing Bundt Cakes. Plus, live jazz, open studios, and refreshments by the SVdP Culinary Program. Mayor Gilmore will be on hand to open up the evening. Books Inc. (1344 Park Street) is where you will find B movie impresario and former host of the cult movie cabaret “Thrillville,” Will Viharo. Will will be in the store from 7:00 to 9:00pm to celebrate the re-release of his modern, ironic detective story Love Stories Are Too Violent For Me, a cult classic that is in development as a film starring and directed by Christian Slater. August 14, 2012 — Downtown Alameda Business Assn. Congratulations to Park Street Antiques & Collectibles for celebrating their 7th year in business this month! 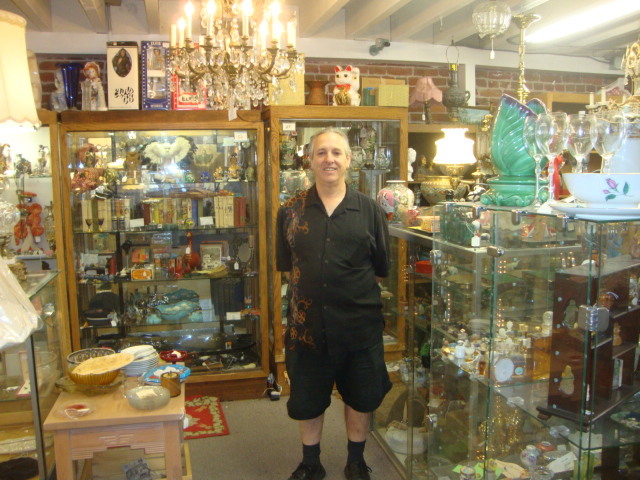 Located at 1519 Park Street in Alameda, the building has been used as an antique store under several different ownerships for the past 26 years. Today, Park Street Antiques is run by a partnership and co-op with over 20 dealer/vendors that offer a wide-ranging variety of antiques and collectibles. Some of the dealers have been there for more than 15 years. But the brick building is much older than that — it was built in 1897, most likely as a mercantile. November 22, 2011 — Downtown Alameda Business Assn. When looking for Eco-Friendly and hip alternatives to conventional baby/toddler/big-kid gear, be sure to check out Monkey Bars, located at 1339 Park Street. The Earth-Friendly boutique specializes in Feeding, Clothing, Diapering, and Fun solutions for the busy but Earth-Conscious parent. The store even has goodies for grown-ups, making Monkey Bars your one-stop spot for Going Green this Holiday Season. 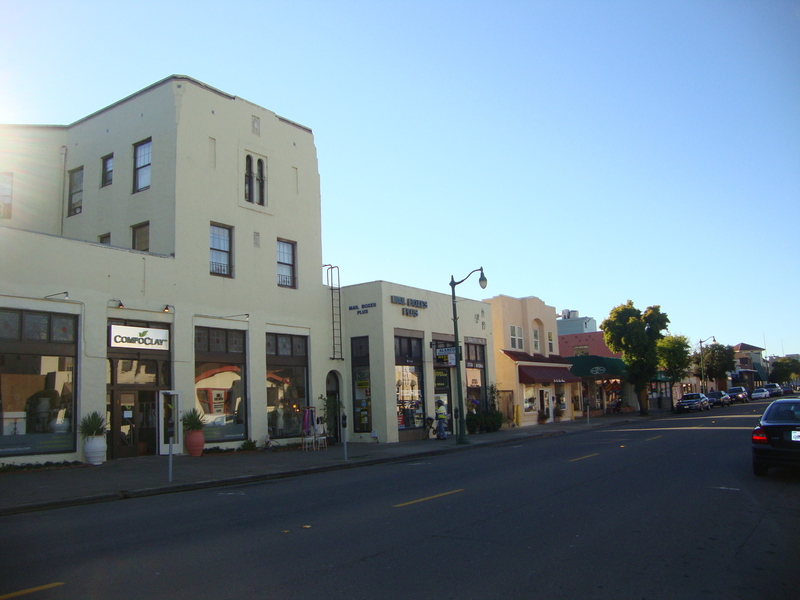 October 24, 2011 — Downtown Alameda Business Assn.